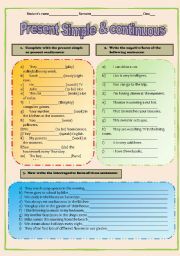 There is an exercise to complete with since/for, and other two for rephrasing using the present perfect and already/yet. 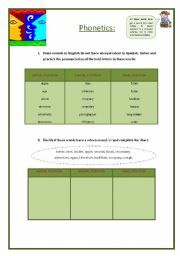 Students complete sentences with present simple and continuous. 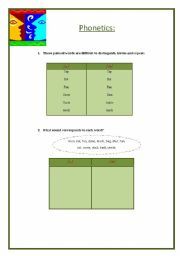 Then practise negative and interrogative form of both tenses. Hope you like it! 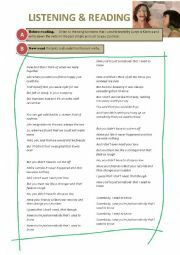 Students listen to the song and identify verbs in the past tense. 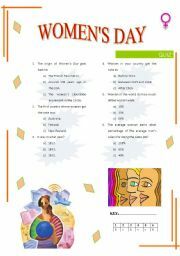 They complete later some exercises to work on their meaning and the present form of the irregular ones. 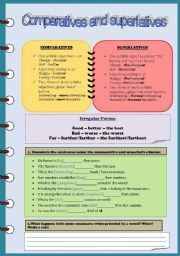 Worksheet with an explanation on the formation of regular and irregular comparatives and superlatives with a couple of exercises. Thank you for the template! Students practice the pronunciation of schwa in inital, medial and final position. Then complete a chart trying to recognise that sound in several words. 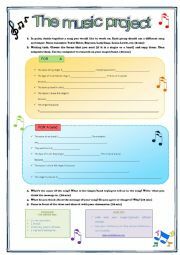 Students choose a song from one of their favourite singers or bands and complete a form about it: type of music, members of the band, lyrics, why they like it, etc. 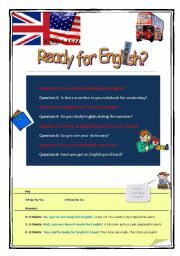 Easy quiz to do at the beginning of the course to check if our students are ready to start learning English. Enjoy it! 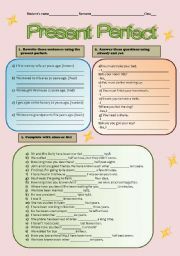 Completing the rule and an exercise on modal verbs expressing possibility: must, can�t, may, might, could. Exercises to practise the distinction between these sounds: /ʌ/ and /�/. Hope you find it useful!